*Not all resolutions and output formats tested. 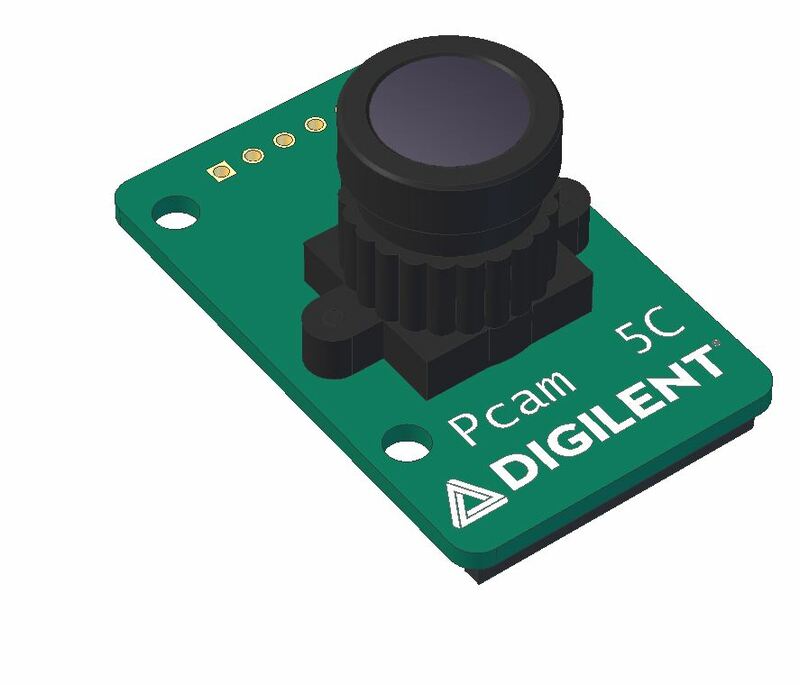 The Pcam 5C is an imaging module meant for use with FPGA development boards. 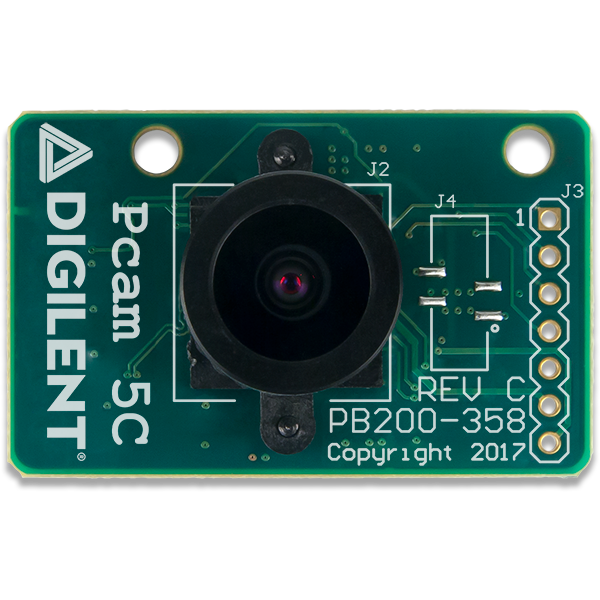 The module is designed around the Omnivision OV5640 5 megapixel (MP) color image sensor. 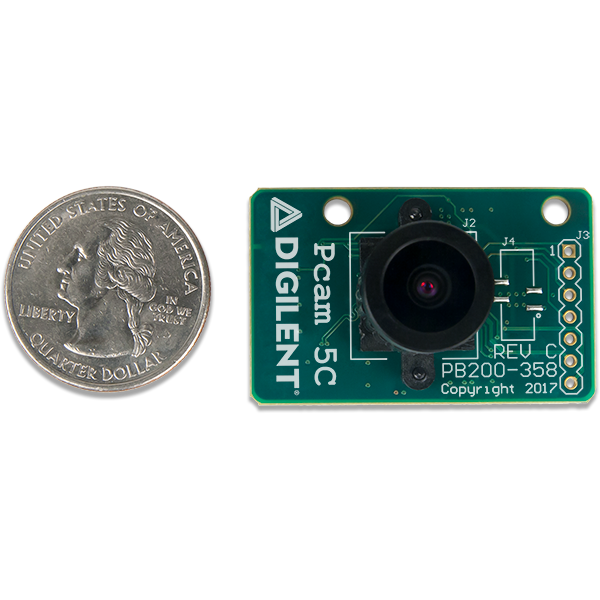 This sensor includes various internal processing functions that can improve image quality, including automatic white balance, automatic black level calibration, and controls for adjusting saturation, hue, gamma and sharpness. Data is transferred over a dual-lane MIPI CSI-2 interface, which provides enough data bandwidth to support common video streaming formats such as 1080p (at 30 frames per second) and 720p (at 60 frames per second). 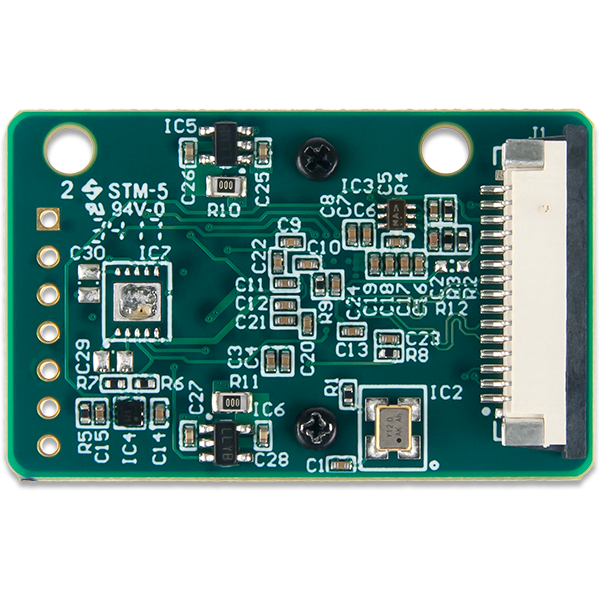 The module is connected to the FPGA development board via a 15-pin flat-flexible cable (FFC) that is pin compatible with the connector found on the popular Raspberry Pi development board. The Pcam 5C comes with a 10 cm flat-flexible cable and a factory-installed fixed focus lens with M12 lens mount, so it is ready to use out of the box. 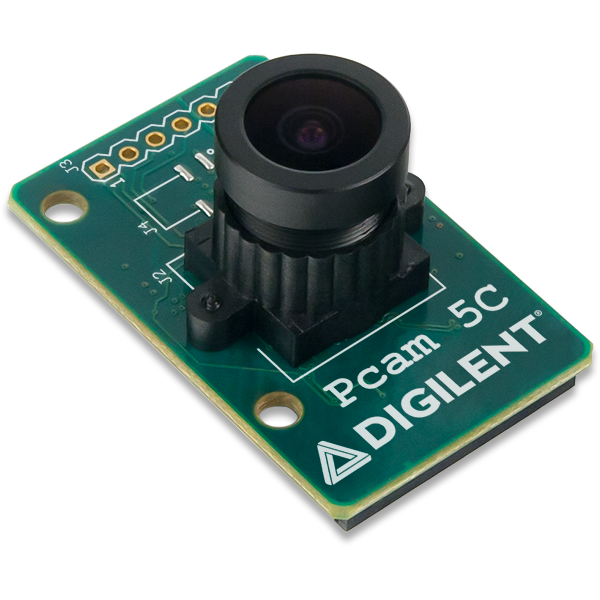 Note: As of time of writing, the only Digilent board that supports the Pcam 5C is the Zybo Z7.